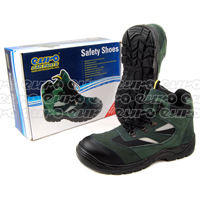 Having the right footwear can be the difference between a mild bump and a serious injury, particularly when dealing with heavy equipment, parts and machinery. 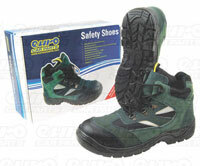 Take a look at the range of safety footwear below and keep your feet safe. If you're doing any kind of outdoor work, it's important to have a stable base. 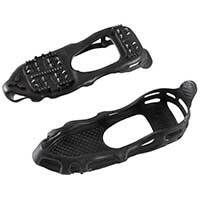 Safety footwear is designed to provide very good grip for the wearer, stopping them sliding or slipping over. 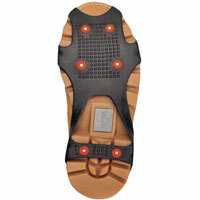 Mechanics, engineers, carpenters and other tradespeople working with heavy items and tools tend to wear safety footwear to reduce the risk of serious accidents too. 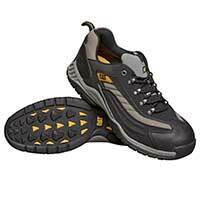 If debris falls onto the feet, it can cause serious injury, so safety footwear is a vital part of any tradeperson’s workwear. 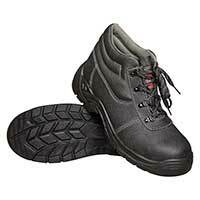 Mechanics also wear safety footwear because of the waterproof layer that keeps their feet dry when working outdoors making emergency repairs. Wherever you are in the UK, we can deliver to you for free, or if you need safety footwear fast, simply choose click and collect and pick up your order from your closest Euro Car Parts store – there are over 200 across the UK. 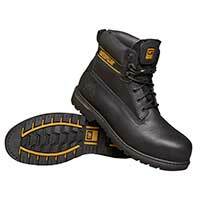 Browse the full collection of safety footwear today.